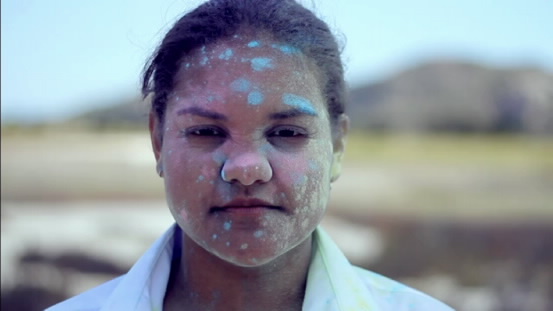 A young Townsville woman from JCU has won the ABC’s annual Heywire competition. A young Townsville woman from James Cook University has won the ABC’s annual Heywire competition. Heywire is an annual competition for young people from regional Australia. It is designed to provide a powerful platform for stories, ideas and opinions and describes the local communities where people live. Each year, the best stories are chosen to be broadcast across the ABC on Triple J, Radio National and Local Radio. The winner, Ms Carmen Smith, is a Web and Social Media Assistant in JCU’s Marketing and Engagement unit. Formerly from the Northern Territory but having lived in Townsville since 2000, Ms Smith studied a Bachelor of Multimedia Journalism at JCU and graduated in May last year. Ms Smith said her mother comes from Papua New Guinea and her father comes from Australia and her entry was about how having two different backgrounds could be challenging. “My entry is about finding the courage to be comfortable in your own skin,” she said. Ms Smith said she only recently found out about the Heywire competition. “I was casually looking through the ABC website and I saw a link to Heywire,” she said. When the winners were announced on December 13 last year, Ms Smith said she was “totally surprised”. Ms Smith said she had help from her younger sister Alicia Smith and her good friend Luke Austen in making the impressive video. Ms Smith will now travel on an all-expenses paid trip to the Heywire Regional Youth Summit in Canberra in February, an experience she said she was looking forward to. “I can't wait to go to Canberra in February - it is really quite exciting. I can't wait to meet the other Heywire winners,” she said. Heywire entries can be in any format: visual, audio, or text. They can be any length, around 400 words or 3 minutes for audio and video entries is recommended. Anyone can upload stories to the website, but entrants must be aged between 16 and 22, and live outside Melbourne, Brisbane, Sydney, Adelaide or Perth, to be eligible.